Desc: Landstrom's Black Hills Gold Sterling Silver pair of sandals necklace. 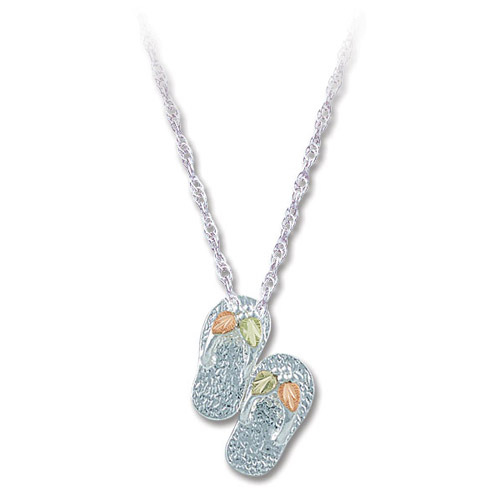 The sandals are fashioned from Sterling Silver. Rose and green gold leaves are mounted as accents.